I created this little Brag Book for my trip to Nashville for Stampin' Up! 's Leadership conference in January 2011. I knew I would meet lots of new friends and wanted to be able to have something little to show off my cute family! I was expecting our youngest at the time so that's why there are no pictures of her! We were taking photos outside the firehall and one of the firemen asked if we would like to take some pics with the truck. They'd just washed her! So great. My husband, JP, & I. I embellished with a little snippet of Victoria Crochet Trim and a flower button. 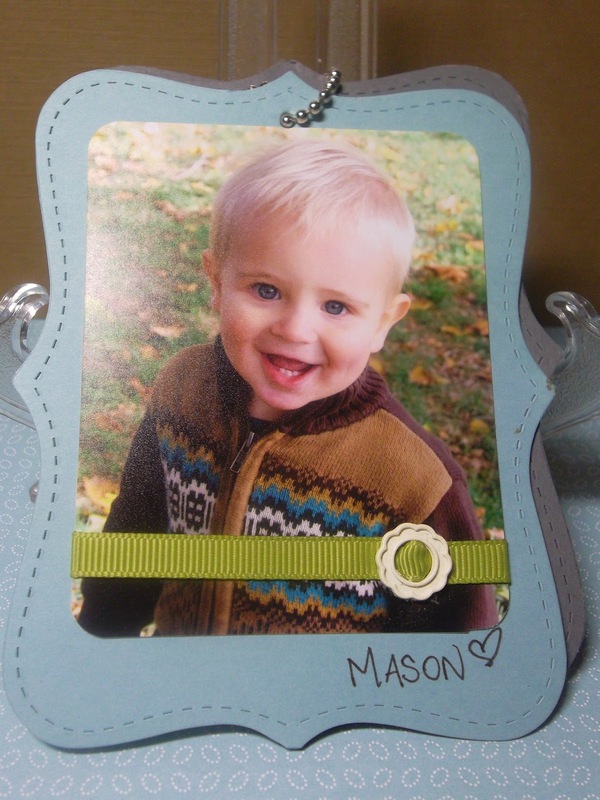 My sweet little Mason. He was 15 monts old here and such a charmer! I love the look Mason is giving. He looks like a little model. We also had some fun on the playground. So, there's a super quick little brag book. 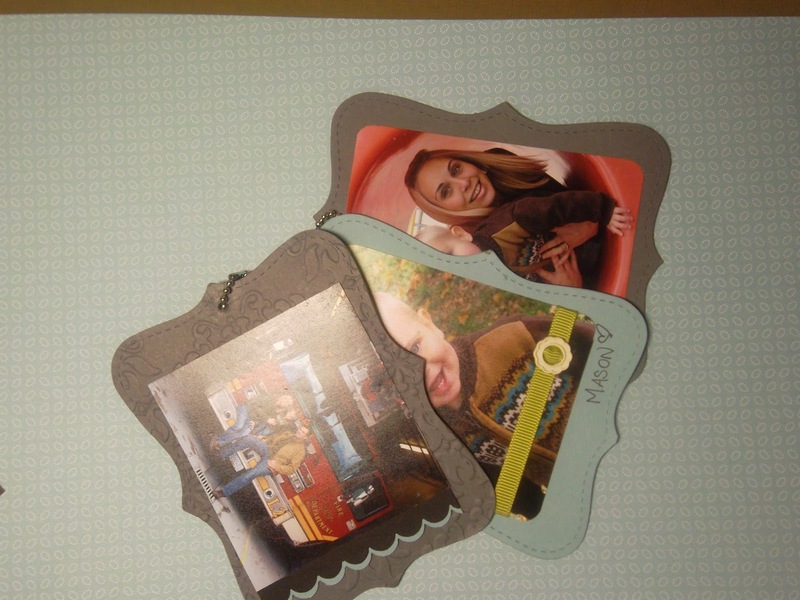 Cut out a few sheets of card stock using the Top Note Bigz Die. I used the Vintage Wallpaper embossing folder to fancy some of them up a bit. 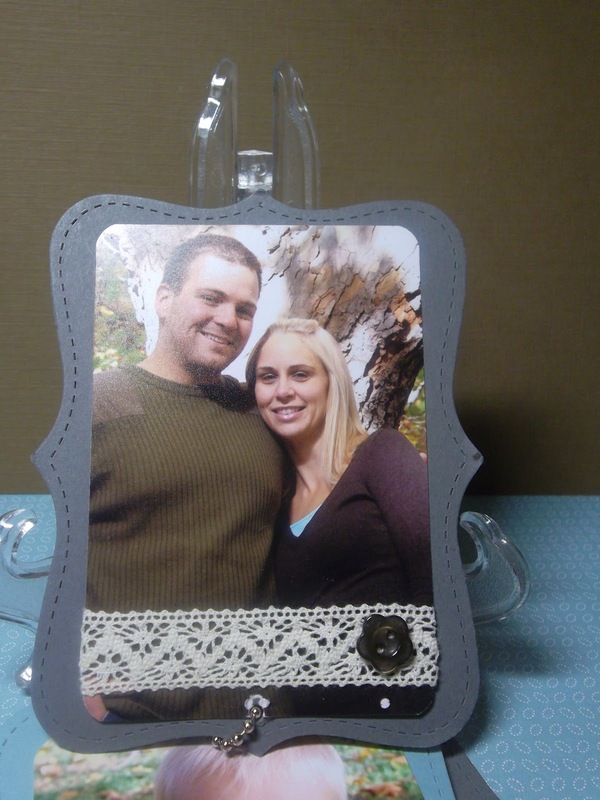 Add a little ribbon and other embellishments to spruce it up and you have a nice little album to show off. 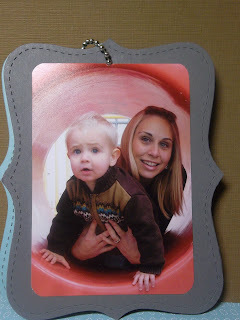 I was even able to show this to Shelli (our CEO and co-founder of Stampin' Up!). I need to make a new one that includes Lucia. Hopefully soon. It's on the list. 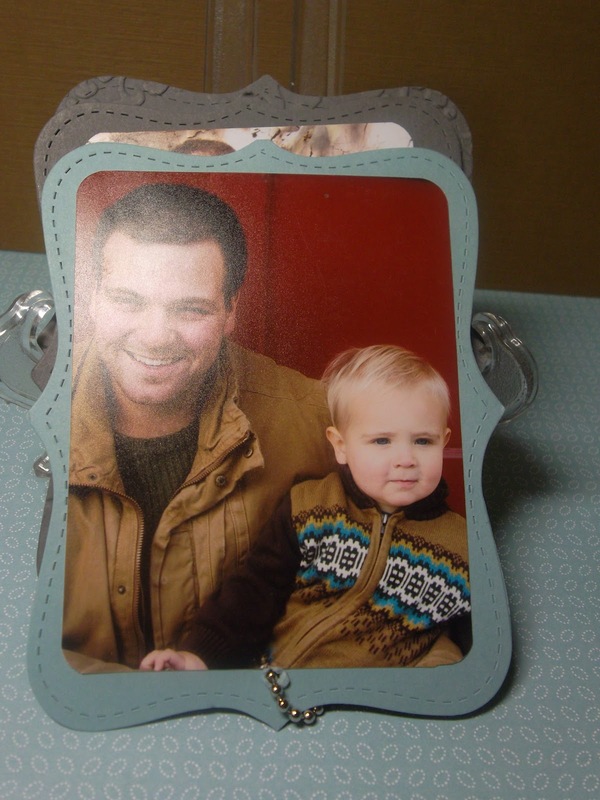 Do you keep photos of your family in your wallet or purse? Why not make a little brag book like this to show them off in style. It's a great little project.